After that production last fall, he conducted a podcast with a child therapist, and in another General Director Aidan Lang talked about the different codes of emotional behavior expected of English and American children in 1940, when the opera was set. Dean would not be able to do these so insightfully was it not for his rich educational opportunities here as a long-time member of the opera staff, and the preparation he already had from school and college, sparked by his home exposure to opera from early childhood. He grew up in Okemos, Michigan (a suburb of Lansing), where his father and great-aunt were opera devotees. Dean learned Italian more or less by osmosis from all the Italian opera he heard on radio, plus the long-playing records which came with librettos and translations. He also studied French and German in school, and had the opportunity to take summer field trips to France and Italy. Jonathan Dean as the "supertitle button-pusher." Today, Dean usually creates the supertitles that accompany each opera. (Musician Emmy Ulmer is now Seattle Opera's titlist, controlling the timing of the supertitles in the booth for each opera at McCaw Hall). Dean had two major jobs under Perry: he was the "high school guy," and the "supertitle button-pusher." 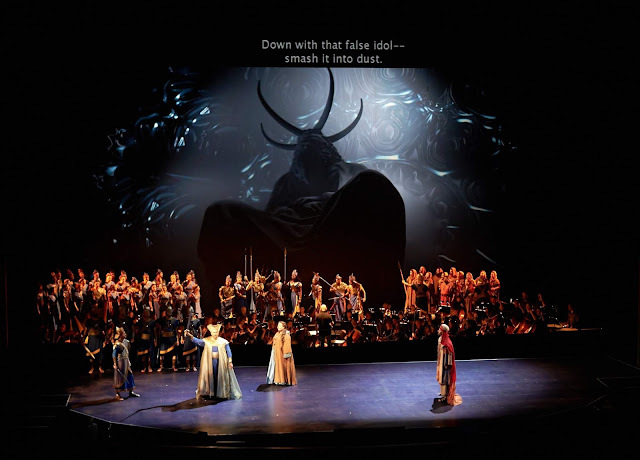 Seattle Opera was one of the first companies to employ supertitles, and the “button-pusher” is the titlist, a word many opera-goers don’t know, but a position central to understanding the nuances of opera performance through the supertitles. “No one beside the conductor has to know the score so intimately as the titlist,” Dean says, as the titles must be shown at exactly the right moment. After a couple of years, then-General-Director Speight Jenkins suggested that, rather than renting supertitles, Dean write them himself. It was total immersion in the language, the meaning and the ambiance of each opera. That first season, he wrote supertitles for The Marriage of Figaro, The Elixir of Love, and La bohème, each with an Italian libretto. And he admits that he'd love the opportunity for a do-over today, considering how much his understanding has deepened through the years. Tristan and Isolde was his first work in German, and a great challenge for the emerging supertitles-creator at that. Dean continued to hold the position of titlist for nine years. Though today his position has changed, writing the English words to help our predominantly English-speaking audiences understand each work is still part of his work today. His other major job under Lorenzo was working with schools, many of which studied opera in their humanities programs. “We had an elaborate system of prepping those classes before the kids came to see a dress rehearsal. My job was to prep the material, and often teach the classes or teach the teachers. We made cassette tapes for them with model lessons." Dean, who's worked at Seattle Opera for more than 20 years, has had a variety of roles in community engagement and education. He's even helped to create operas for young people that have toured local schools. 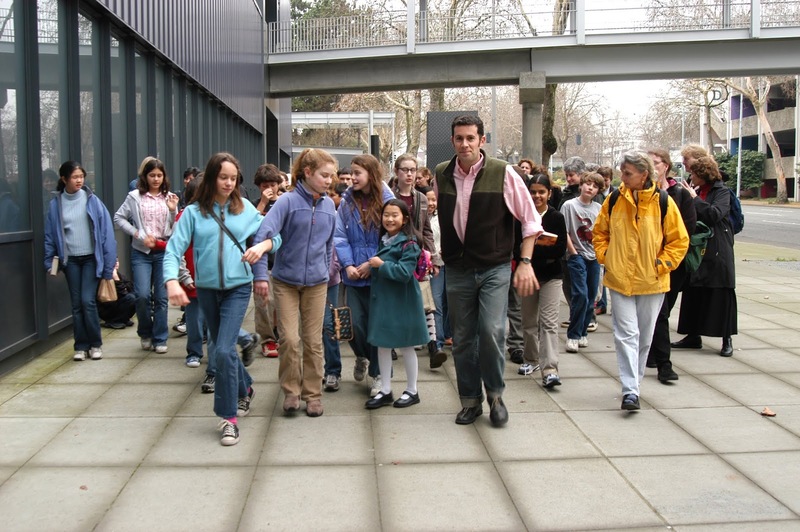 Once the Young Artists Program began in 1998, Dean found himself very busy taking the singers to schools and on tours. “At one time we produced five operas a year with that program—a three opera season touring in the fall, a kids opera in winter and one at Meydenbauer (Center) in spring.” Meanwhile, he was also giving many of the pre-performance lectures for mainstage productions. 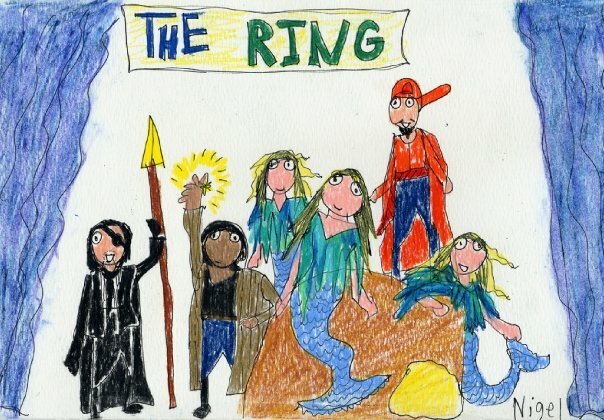 A student drawing of Seattle Opera's adapted Ring production, Theft of Gold, created by Jonathan Dean. Dean’s job changed dramatically in 2010, when he was appointed Director of Public Programs and Media. Instead of working in Education, he was now part of the Marketing department. After a successful track record of teaching online classes for Opera America, Dean was asked to take on new radio programs to spread the word about Seattle Opera, which included the job of co-hosting a Saturday night opera broadcast on KING-FM with General Director Aidan Lang. “Right at that time, we started the Seattle Opera blog,” he remembers and podcasts began being posted on SoundCloud in 2014, accessible on the opera’s website, but also at KING-FM. With the discontinuance of the radio broadcasts after the summer 2018 production of Porgy and Bess, Dean has been able to devote time and energy to a new exciting project: the relaunch of an official Seattle Opera podcast, available on various platforms such as iTunes. 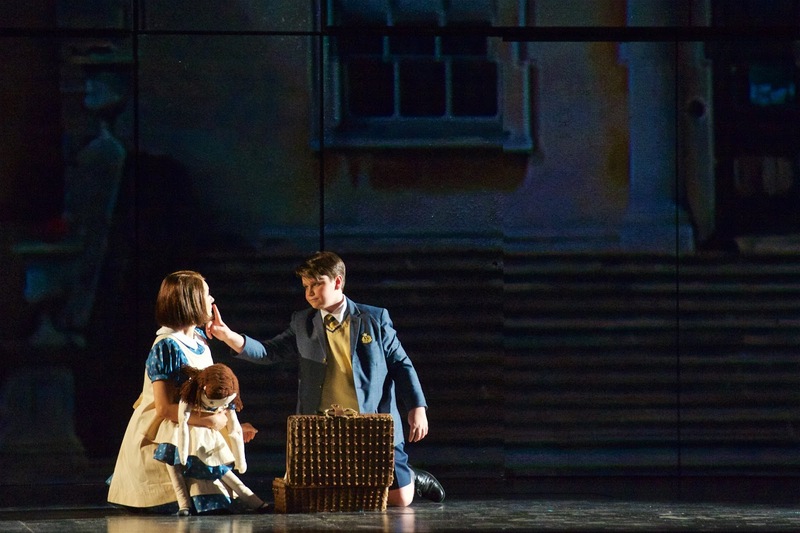 “Turn of the Screw was the first opera we explored on the Seattle Opera podcast,” he says. Rather than being posted on a strict schedule, episodes come up organically, depending on the interesting facets of each opera. Audiences can expect multiple Seattle Opera podcast episodes for each production. 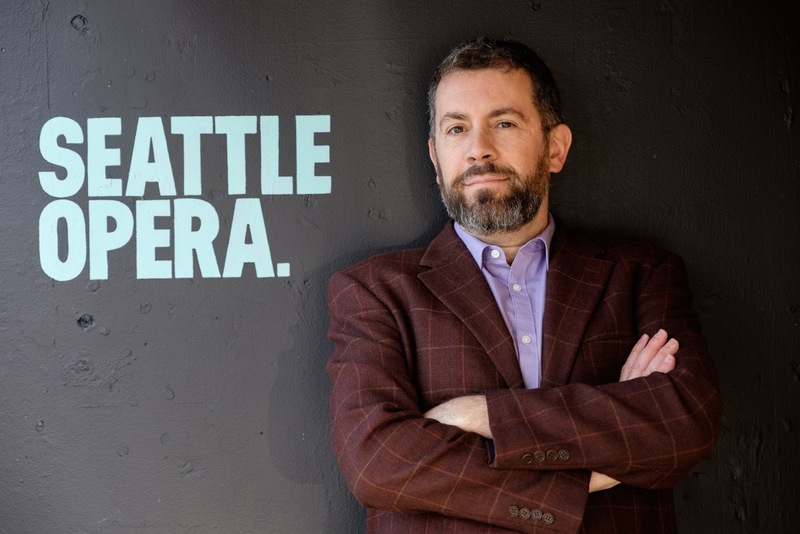 From supertitles, to the Seattle Opera podcast, Dean's other recent work assignments include creating the singing translations for company productions of The Combat and numbers added to Beatrice and Benedict. But it's anyone's guess as to what he'll be asked to do next. 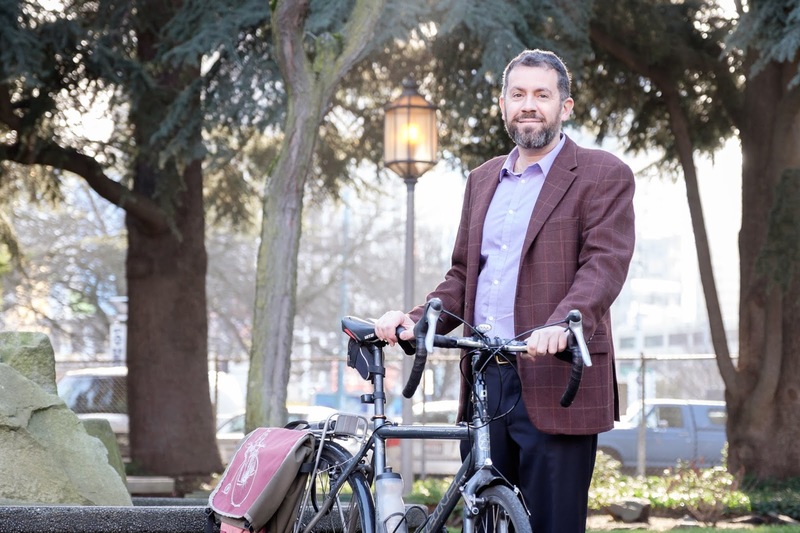 Outside of his opera work, Dean is an avid bicyclist (he's biked in England and throughout Europe, as well as China)—and an equally enthusiastic cook, even more so now that the opera’s new Seattle Center home is close to his house on lower Queen Anne.